Microsoft rolled out a new version of Windows, marking its first ever automotive version 7 release. The software giant utilized the Automotive Trade Show in Detroit to announce its OS version made compatible with the automotive industry. 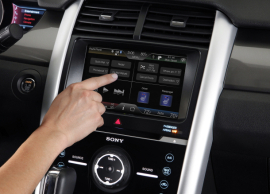 Various car manufacturers would be using the product with most notably, Ford, to power the Ford Sync. Microsoft’s latest release is dubbed as Windows Embedded Automotive 7. The new software build in the latest version of Microsoft Tellme which is a speech recognition technology also a version of Silverlight. Windows product are widely used in fields of ATM, cash registers and many more, with the technology now presented over cars, making it amongst the many of non-PC devices. As it announced the launch of the new software, the company named Nissan Leaf, Fiat 500 and the next generation Ford Sync, might be looking forward on implementing the new version of Microsoft software.